In an earlier blog I wrote about nine ruins that I have permission to hunt around, the first one was great and I still need to go back there. I have decided to give them a good going over and then go back over them at some point with the 6 inch CTX 06 coil to see what is in between the trash. When I walked up to this ruin I wasn’t overly excited as it was quite small, around about the size of a modern lounge room. After 20 minutes it was apparent that there was very little around with the CTX 3030’s threshold tone just humming away steadily with very few targets to dig. I finally started finding bits of lead and old bullet casing from the front of the ruin on a bit of a slope, but then it was back into a mind numbing threshold tone for about another 10 minutes. 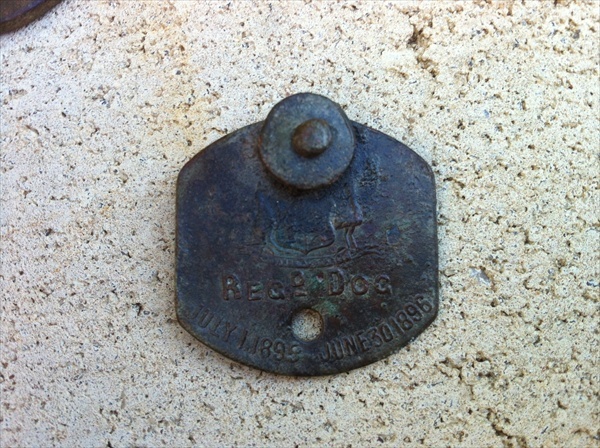 I was just about to call it a day and head of to a second location when a solid 12:41 got my attention, from right on the side of the ruin wall I dug an 1895-96 dog registration disc in excellent condition. I call these sucker finds, it ‘s like when your fishing and catch nothing all day and just as you are about to leave, wham you get a really good bite or fish and stay for another half an hour for nothing, so was the case with this dog tag. With my hopes up I hunted around for another 20 minutes or so before pulling the pin on this site, with one solitary dog tag I headed back to the car and started to make my way back to the homestead. 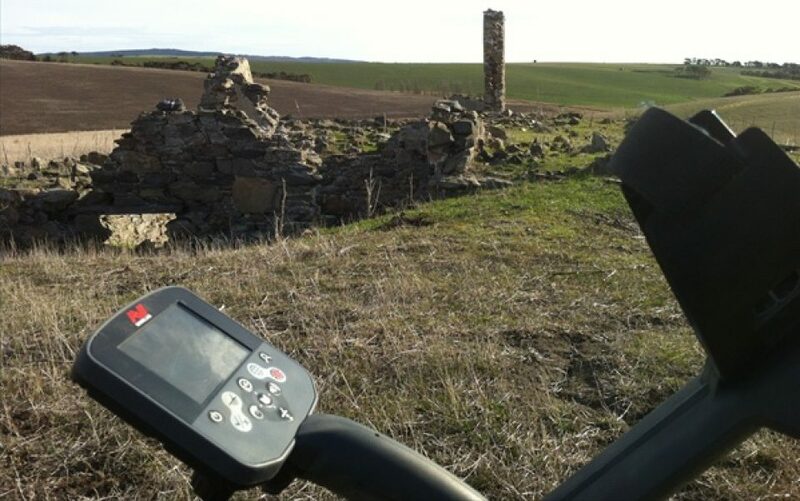 When I reached the second gate the share farmer had just turned up and wanted to see what I had found, after looking over the solitary find and rubbish he said to follow him as the third ruin was hard to find. We pulled up to the tell tale signs of some stones scattered about and some still in the ground giving some indication of where the house actually stood. This site looked much better, it was larger with remnants where out buildings and a stock yard once stood, I was more enthusiastic and decided to give it a quick once over before coming back next trip. That is a whole other adventure though so happy hunting and stay positive because I was about to have an awesome hunt at my oldest site.